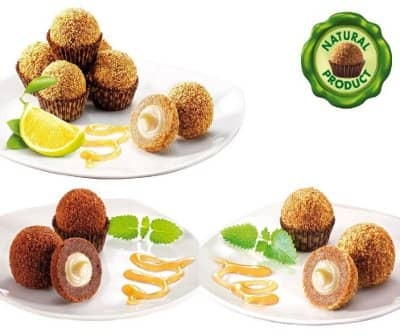 The Marlenka® Classic, Cocoa and new Lemon Honey Nuggets are delicious all natural honey and nut nuggets filled with a sweet custard. It's hard to choose between our Classic, Cocoa or the new Lemon Marlenka® Honey Nuggets. We offer this Honey Nugget Combo with two packages to make your decision a little easier. You choose the flavors. We make the best honey cake nuggets you have ever tasted. The creamy custard center is rich with natural ingredients. Our healthy desert will always satisfy! This item is made in the Czech Republic and distributed to our customers from Florida USA.